India bright spot in slowing world economy: IMF. IMF chief Christine Lagarde has said that India remains a bright spot in the world economy amid sluggish global growth this year with only a modest acceleration expected in 2016. Washington : IMF chief Christine Lagarde has said that India remains a bright spot in the world economy amid sluggish global growth this year with only a modest acceleration expected in 2016. "India remains a bright spot. China is slowing down as it rebalances away from export-led growth. Countries such as Russia and Brazil are facing serious economic difficulties. Growth in Latin American countries, in general, continues to slow sharply," said Lagarde, Managing Director, International Monetary Fund. "We are also seeing weaker activity in low-income countries, which will be increasingly affected by the worsening external environment. At the global level, there is still a drag on the economy because financial stability is not yet assured," she said in her address yesterday. She noted that despite progress in recent years, financial sector weaknesses remain in many countries, and financial risks are now elevated in emerging markets. Finance Minister Arun Jaitley had recently said that all macroeconomic parameters including fiscal deficit and inflation appear positive and hoped that India's GDP growth would outperform the 7.3% rate of last year. Referring to the release of World Economic Outlook numbers next week, Lagarde said global growth will likely be weaker this year with only a modest acceleration expected in 2016. "The good news is that we are seeing a modest pickup in advanced economies. The moderate recovery is strengthening in the Euro Area; Japan is returning to positive growth; and activity remains robust in the US and the UK as well," she said. Lagarde said the prospect of rising interest rates in the US and China's slowdown are contributing to uncertainty and higher market volatility. "There has been a sharp deceleration in the growth of global trade. And the rapid drop in commodity prices is posing problems for resource-based economies," she said. 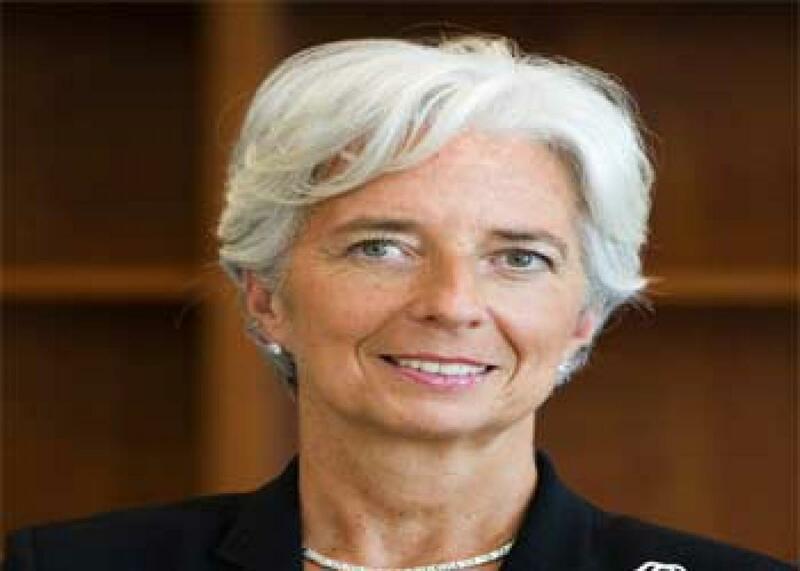 China, Lagarde said, is in the midst of a fundamental and welcome transformation. "It has launched deep structural reforms to lift incomes and living standards. These reforms will, by design, lead to a new normal of slower, safer, and more sustainable growth.